Looking further into the issue of what they are now calling the “Mexican American Cultural Center” we had to go back to the August 14, 2012 city council meeting documents and video. 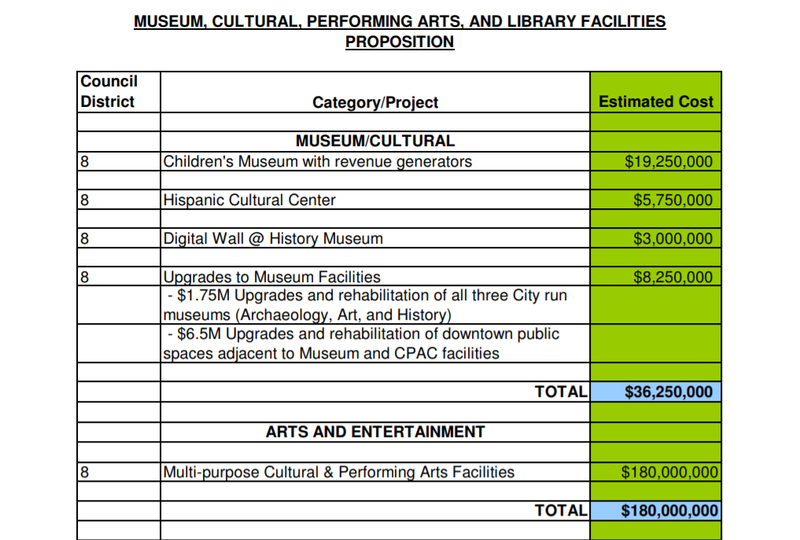 They were talking about a “Hispanic Cultural Center” but told the voters that they would build a “Cultural Heritage Center”. Yes, it is now a “Mexican American Cultural Center”. Back in 2012 city council was not honest with the voters. City council is not being honest today either. This entry was posted on Saturday, October 13th, 2018 at 5:00 AM and is filed under City government, Federal Government. You can follow any responses to this entry through the RSS 2.0 feed. You can leave a response, or trackback from your own site. You are 100% correct. The same deceptive bond language employed for the “Arena” was also employed for the cultural center. The City’s position can be challenged in the courts. El Paso already has a Cultural Center. It is the History Museum. BRUTUS, since the STREET CAR issue has been a hot discussion item on this blog, was this City Legislative Agenda item missed, when you posted that recent item on school consolidation? Didn’t local taxpayers get SHAFTED when the County built that new international port of entry in far East El Paso; and our Mexican counter parts did not do their corresponding share of the road and port infrastructure building? Just how reliable with they now be, if that one city representative continues to push to expand that street car line into Juarez? That should be a discussion topic in this coming city council election race. The only thing that ever changes with El Taxo politics, politicians is the NAMES of the people who steal from US, INCREASE our taxes and lie, deny, deceive. Maybe the FBI, the State needs to divert the same attention they gave to EPISD, to the City, County of El Taxo. Inherent corruption.